A leefish forum member asked me if it was possible to make a deco object into an ingredient. I had a go with these cool loaves of bread from Pixelry , the recolours etc should still work (they do in my game). Set the item for sale on either a home business or an owned community lot. 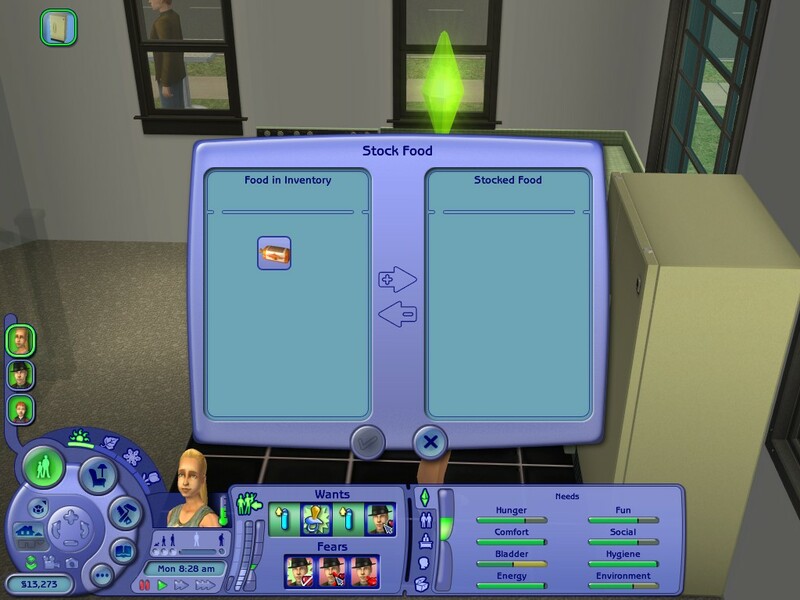 Sim buys the object from the shop and it goes into the sims inventory (or from the catalogue and pulls it into inventory but that is cheating). On return home, click on the refrigerator and the option stock should be in the menu. 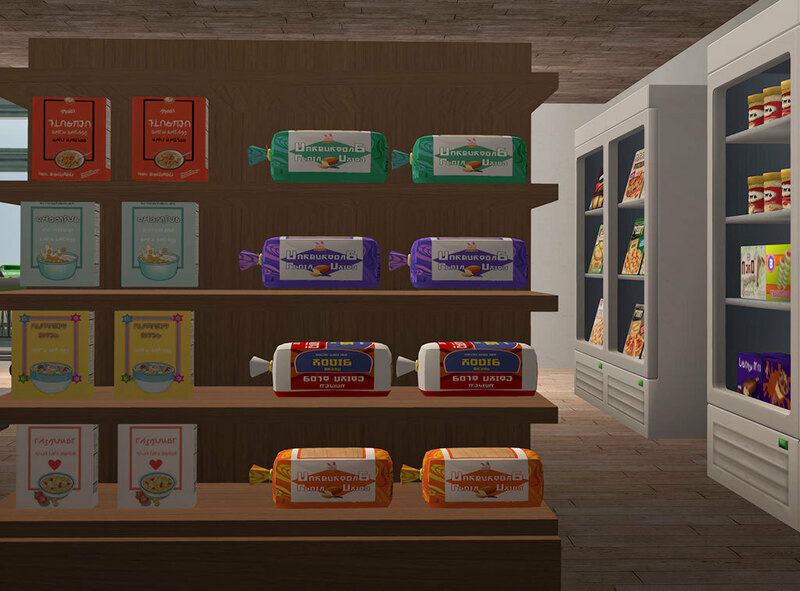 Click on stock and then the bread should be available to stock the fridge. 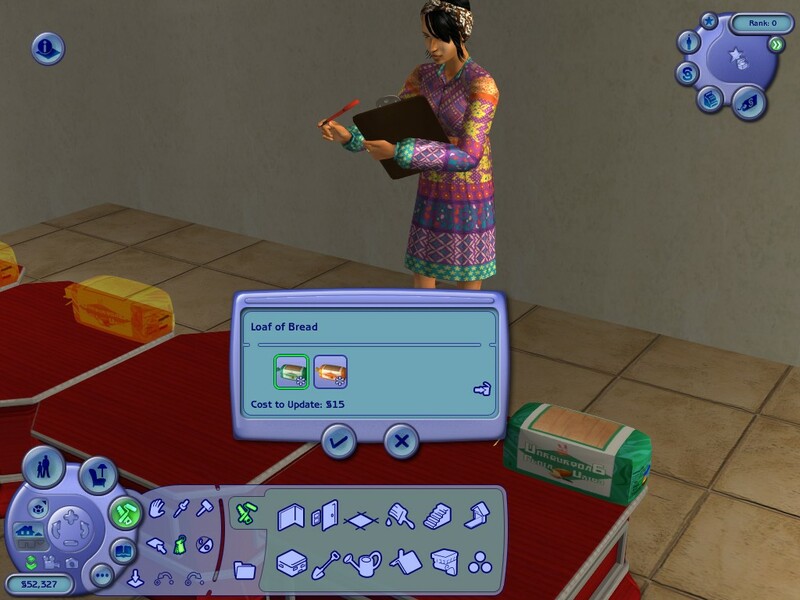 The business lot owner can restock if the item is in their inventory, but the default orange loaf is what is restocked, so it costs an extra 15 simoleons to update the displays in your shop. It all seems a bit clunky to me, but maybe someone will like it. Well, if that §24 is also the catalogue price, then it's no longer really a cheap cheat. It merely prevents your sims from having to go shopping. Under those circumstances, I would prefer doing the shopping, because that's a chance for my sims to get out of the house.